Yahoo! Finance is a service that provides financial information and commentary with a focus on US markets. In April of 2013, Yahoo shutdown some services including Yahoo SMS Alerts. 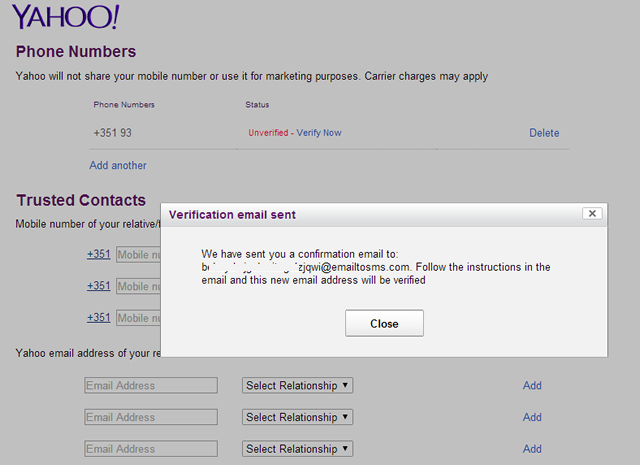 You should have already created Yahoo account and EmailToSMS.com account. Sign in to your EmailToSMS account and go to Dashboard. 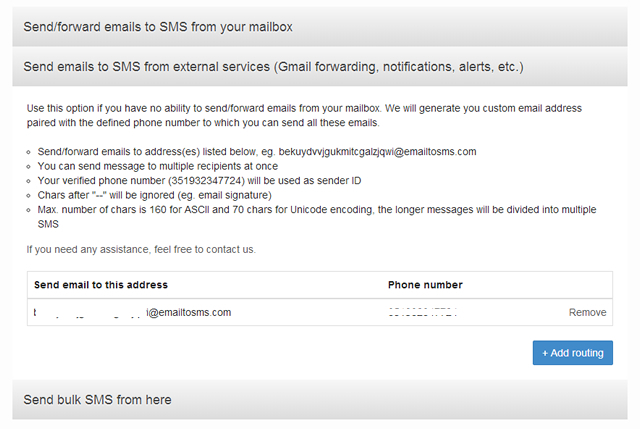 Select option Send emails to SMS from external services and Add a routing. Now you have to create a new routing which will link newly generated email to your phone number. Click on “Add routing” button. 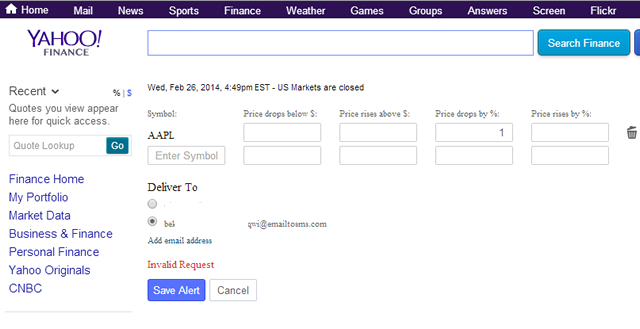 On the new screen enter the phone number to which you want to receive Yahoo Finance notifications. The phone number has to be in international format without any + or 00 at the beginning. After submitting the form you will be redirected back to the dashboard and you will see the newly generated email address. 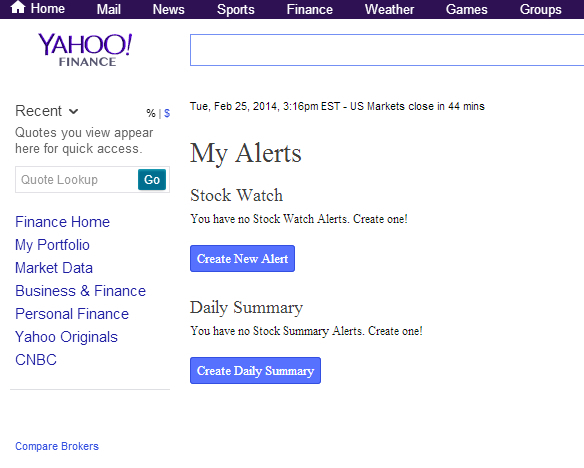 View the list of available alerts and click on “Stocks Watch”, select “Create New Alert”. Click on “Add a new email” and enter the newly generated email address from EmailToSMS and confirm it. After a while you will receive a new SMS with link to confirm new email. Enter the symbols and other information for the stocks you are watching in the form provided. In this example, we select Apple (APPL) stock and parameter “Price drops by %” with a value 1. In “Deliver To” select your ETS email. With this alert, when price drops 1% we will receive a SMS.